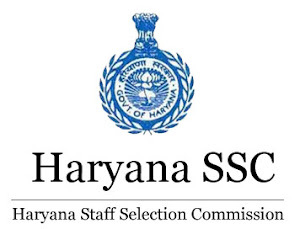 Haryana Staff Selection commission released admit card for Excise Inspector, Advt. No 11/2O15, Cat. No. 1 . Exam is schedule on Dec 03, 2017. HSSC will recruit 20 Excise Inspector post with this Examination. Admit Card for HSSC Excise inspector schedule to publish on 27th Nov 2017 but due to some reasons it is avail from 29th Nov 2017. Candidates have to qualify written test and interview for HSSC Excise Inspector. Total number of question in written exam will be 100(multiple choice question) with a maximum time of 90 minutes. Candidates can download their Hall Ticket/Admit Card from the link given below. Candidates can download admit card from the above link using their login ID and password that was generated during Making Application. If candidate forget that then they can retrieve that here. Candidate are advised to read instruction(on admit card) carefully.